One of our employees volunteers with Chickenshed Theatre in North London as a Front of House Volunteer, and told us the wonderful story and ethos of this inclusive theatre. Also about the amazing work the organisation’s employees and volunteers do to promote Chickenshed’s vision of inclusion and interaction across an incredibly diverse group of people. Chickenshed is an inclusive theatre company that first began in 1974. Primarily based at a purpose-built venue in North London, Chickenshed creates theatre for all, and runs successful outreach projects, education courses and membership programmes throughout the year. 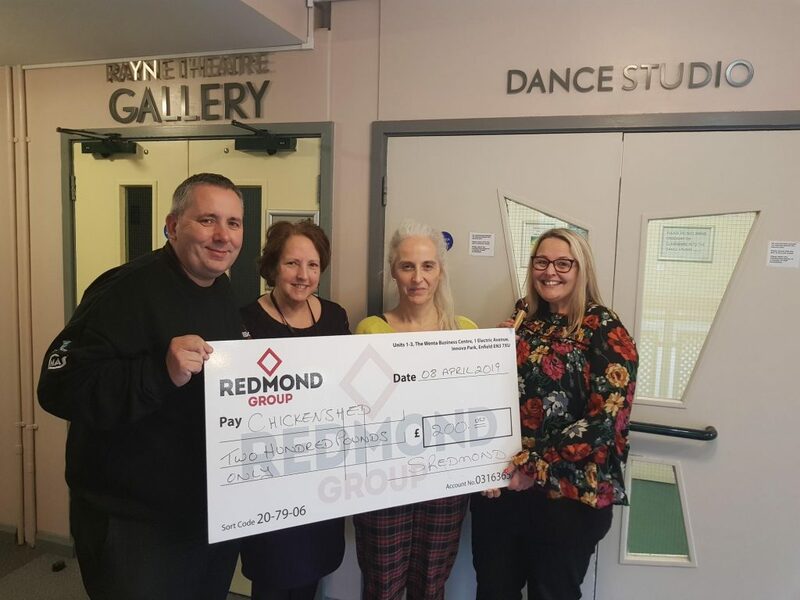 Redmond Group Ltd was delighted that Chickenshed accepted our monthly charity donation of £200 in April. We also look forward to discovering how further we might support this and other local and national charities that – in their individual and unique ways – support the community, and promote alignment to the social and environmental values that we also so strongly believe in. At Redmond Group Ltd, we regularly support charities in many different ways, helping promote their vision via our news page on our web site and social media links as well as raising funds when we can; and even occasionally offering more hands on support and fun events, such as visits to the Redmond Group Community Zoo.